Sweet Orange - Persian orange, Navel orange, Valencia orange and Blood orange. Sour Orange - Seville orange, Bergamot orange, Chinotto orange and Daidai. There are around 600 varieties of oranges available worldwide. More than 1 plant can grow from a single orange seed. Orange and orange blossoms are a symbol of love. 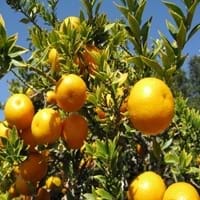 Orange tree is usually propagated by grafting. What are the General Benefits of Orange? Significance of fruits in human diet is well recognized and these natural foods are equally appreciated for their high nutritional value. Talking about Orange Nutrition, it is full of vital nutrients required for our overall fitness and health. 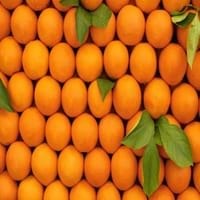 What are the general benefits of Orange? Some of the general health benefits of this fruit are: increases metabolic rate, kidney stone treatment, lower blood pressure, prevents constipation, prevents diabetes, strengthening of bones, ulcer treatment, weight loss properties, arthritis treatment and cancer prevention. Fruits also contribute well as a remedy for various hair problems. The hair benefits of this fruit are: good conditioner, prevents hair loss, regulates hair growth and treatment of dandruff. Intolerance to certain fruits or their excess consumption can lead to allergies or side effects. The side effects of this fruit are abdominal cramps, diarrhoea and weight gain. Therefore, despite the taste and nutritional value of fruits, it is essential to consume them as per our health requirement. 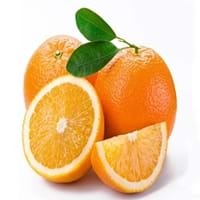 Keep reading to learn about Orange fruit which includes its nutrition, taxonomy, benefits and unique facts!